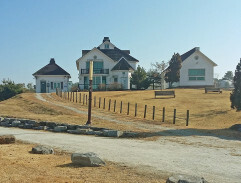 To the Yeong-woo's villa comes a messanger with a necklace. The villa is in fact a restaurant. In the villa was a restaurant, but this days is there gallery with exposition of local culture and also with pictures from movie making. 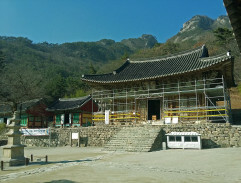 Jae-hee and Sang-hyun at the Naeso Buddhist Temple. 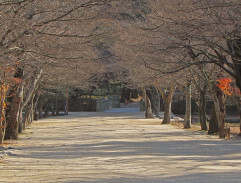 Jae-hee and Sang-hyun go from a Buddhist Temple Naeso. Kocourvbotach inserted filming location Coca-Cola Headquarters of the Movie One, Two, Three. Kocourvbotach inserted filming location West Berlin of the Movie One, Two, Three. Kocourvbotach inserted filming location To the headquarters of the Movie One, Two, Three. Kocourvbotach inserted new Movie One, Two, Three.